Many Americans are understandably worried about their retirements. People today are living longer due to advances in medicine and proactive health care. Unfortunately their retirement savings, which are supposed to last 25 to 30 years and support a longer and more active lifestyle than previous generations enjoyed, are not up to the task. It’s no wonder that, according to a recent Gallup poll, 59 percent of people worry that they won’t have enough money in their retirement. According to a Federal Reserve study released May 2015, 31 percent of Americans have no retirement savings or plan. And about 25% of those polled are over age 45. In a recent survey by the Employee Benefit Research Institute, only 48 percent of workers had saved more than $10,000. 36 percent of people surveyed had saved less than $1,000. Sadly, these people will not be able to have any sort of secure retirement if they continue doing what they’re doing. Effective retirement planning is not easy. There seems to be so much that you have to know, and you’re planning for something that won’t happen for most people for decades. You can’t just send money to your 401(k) or IRA and expect it to grow magically into a financially secure retirement. The answer is you have to have a plan, and you have to work that plan. The risks you could face, and what you can do to minimize them. 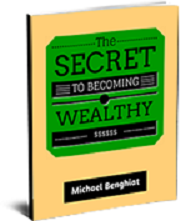 The strategies to employ to reach your goal and make the most of your money. Let’s start at the beginning and learn how you can create an effective retirement plan. The accumulation phase is the decades-long period where you put aside and invest money for your retirement. This article is only going to focus on the accumulation phase, which is where most people need help. If you are looking to retire early, you need to really understand everything in this article. You’ll need to speed up the accumulation phase because you have less time, especially if you are planning to retire before age 65. You also have to be able to make your money last longer given your longer retirement period. The upside is that you will have longer to enjoy your retirement…. 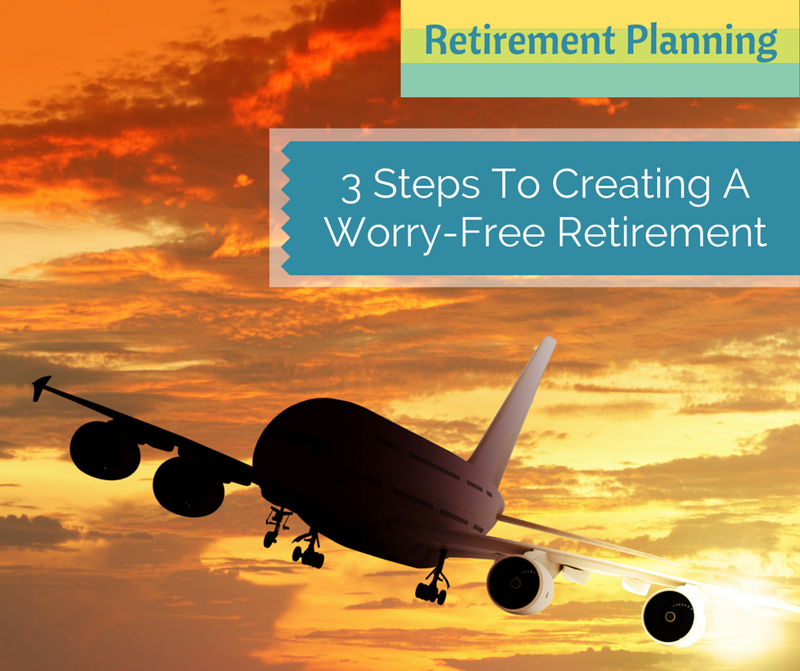 Let’s now go through the three steps necessary to create a worry-free retirement. Your first step is to open an individual retirement account (IRA), a Roth IRA, or enroll in your employer’s retirement plan. Let’s start with learning more about these different types of retirement accounts. You must take full advantage of tax-deferred accounts such as a Roth or IRA for individuals, a 401(k) for employees, a 403(b) plan (for teachers), a FERS/Thrift Savings Plan (for federal government employees), or other employer retirement plan. Tax-deferred simply means that you don’t pay tax on the money that you put into the account. This allows you to defer all taxes on your investments until you withdraw funds, usually after age 65. You are then taxed on your withdrawals at the tax rate you fall into at that time. Investing through a tax-deferred account is necessary for you to be able to accumulate the money you need for your retirement because without the tax deferral, your money won’t grow much. Investor Jim invests his money in a tax-deferred account for 20 years. His total at retirement: $1 million. Investor Tom invests the same amount of money in a taxable account and pays 33% in taxes each year for 20 years. His total at retirement: about $28,000! So, be sure to take full advantage of a tax-deferred retirement account! Let’s go over the main types. The 401(k) has become the main vehicle for people to save for retirement today. Created by a benefits consultant named Ted Benna in the early 80s, the 401(k) is named after IRS tax code section 401(k) and was a way for full-time employees to fund their accounts with pre-tax dollars, with employers matching funds up to a certain limit. As you’ve seen, your money can grow and compound much faster without having taxes taking a large chunk along the way. A 401(k) plan’s contributions are based off a person’s salary. However, there is a cap on how much you can contribute; the current limit is $17,500 per employee per year. Many employers offer a company match of funds when you participate in their retirement plan. It is common for employers to match your contributions at 50 cents to a dollar for every dollar you contribute, up to a maximum of 3% to 6% of your salary. For this reason, you need to contribute enough funds each month so that the employer matching contribution is at its limit. This is free money for you, and best of all, you do not pay any tax on matching contributions until you withdraw them in retirement. So make sure you take full advantage of your employer’s matching funds! As with any investing plan or account, there are certain risks that you must be aware of. Because each plan participant is responsible for their own results, one of the biggest risks is a lack of financial and investing education. Today, people with little to no financial or investing knowledge are in charge of their future financial welfare. This is a major problem that needs to be addressed. So of course Wall Street moved in and found ways to solve the problem by providing financial solutions for their unsuspecting victims…er…I mean clients. When the 401(k) was created in the early 1980s, Wall Street saw a fantastic opportunity to make money and moved in like vultures. By making mutual funds a staple of investments, they were able to siphon billions of dollars away from plan participants through high fees and expenses, mostly without people knowing it was happening. So today, unfortunately, the majority of 401(k) plans today are filled with expensive mutual funds. Investing in mutual funds almost guarantees that you will not reach your financial goals. Because of all the fees and expenses – many hidden – an investor in an average mutual fund will likely lose 60% of the gains they would have earned if fees and expenses were not part of the equation. 60%! That means the $400,000 you were able to save in your retirement account filled with mutual funds could have been worth $1 million if it had been invested in a different product that had low fees and expenses, like an ETF. Not only that, 96 percent of actively managed funds perform poorly compared to a low-cost index fund. That’s right! So why are mutual funds part of people’s plans? Because it’s very lucrative for Wall Street. The funds that are chosen in a 401(k) plan are chosen because of their high fees, because they make more money for the fund companies and brokers. Many funds use a “pay-to-play” system similar to slotting fees in a supermarket, where funds pay to be included in 401(k) plans. It is the participants’ high fees that pay for these placement fees. In one study, more than 90% of the funds in 401(k) plans are there because of this pay-to-play requirement set up by the 401(k) plan. The game is rigged in favor of the house, the mutual fund companies. Managing 401(k) plans is an extremely lucrative business for Wall Street, and one that they work hard to protect their interests. It was only in 2013 that the industry was required by law to state all fees on participant’s statements! It took over 30 years just to get this passed! This tells you that there are a lot of powerful interests behind the scenes working to make sure the system doesn’t change for them. It is just too lucrative to give up without a long fight. An IRA is an individual retirement account (IRA). Like the 401(k), it allows you to put in funds that are tax-deferred until you withdraw them starting at age 65. Withdrawals are then taxable at the tax rate you then fall into. You may have limited contributions to an IRA if you are single and making more than $114,001, or married and with a household income of more than $181,001. There are limits to your annual contribution amount; in 2015 you can contribute $5,500 if you’re under age 50, and $6,500 if you’re over age 50. You have until the following year’s tax filing deadline to add funds for the previous year. You’ll incur a 10% IRS early withdrawal penalty on distributions taken before age 59 1/2 (some exceptions apply). There are Required Minimum Distributions (RMDs) required at age 70 1/2. The Roth IRA, introduced in 1997, is one of the best retirement options for most people. A Roth account is an individual retirement account (IRA) that allows you to withdraw money tax-free at retirement. You don’t get a tax deduction on the money you contribute to a Roth IRA, but at retirement, earnings can be withdrawn tax-free. To eliminate all taxes forever from your investment gains, you should start investing with a Roth IRA account. You will never pay any taxes whatsoever on any gains or income that you generate with your stock or bond investments in a Roth! You must take advantage of this major tax benefit offered by Uncle Sam! You may have limited contributions to a Roth if you are single and making more than $114,001, or married and with a household income of more than $181,001. You have 15 months to make a contribution for the current tax year. You are not required to take a mandatory distribution from a Roth. Traditional IRA account holders must start withdrawing money at age 70 ½. A nonworking spouse can open a Roth IRA based on the working spouse’s earnings (and the couple’s tax filing status). You can still make your annual contribution if you also convert money from a tax-deductible account (like a traditional IRA) to a Roth in the same year. You can contribute to a Roth even if you participate in a retirement plan through your employer. You can make contributions at any age. Your second step is to determine how much money you will need to have in retirement to support yourself. Most people either consult a financial planner or they use simple online retirement calculators. Both will give you an estimate of how much money you’ll need in order to sustain a standard of living similar to what you enjoy now. The important thing is this: the actual numbers you end up with, whether from a calculator or given to you by a financial planner, are based off of assumptions. These assumptions are computer-generated scenarios based on your age, actuarial tables, portfolio size, expected expenses, inflation, as well as historical performance of stocks and bonds. If these assumptions are wrong, then the retirement numbers they generate will be inaccurate. Because you’re dealing with so many variables and you’re trying to plan for a retirement that won’t happen for maybe 20 to 30 years, these assumptions will be wrong. Maybe completely wrong…. It’s very important to know what could happen over the next 20-30 years so you can be prepared. It’s a common saying that your expenses will go down in your retirement. Is this really true? Recent studies have shown that as people are living longer, they’re wanting to actively enjoy their retirement. This means they expect to enjoy more travel, or enjoy an active lifestyle which includes golfing, tennis, etc. These costs may become a major expense. The reality is that your real expenses in retirement may equal your expenses now, not become substantially less. It’s no secret that as we get older, our healthcare costs go up. Healthcare could prove to be much more expensive than you budget for. Medicare out-of-pocket costs and supplemental insurance premiums will likely keep rising, and could easily double over the next 20 years. A decent assisted living home can easily cost $5,000 to $8,000 a month today. Who knows what that will cost in 20 years. Medicare may or may not cover this expense. How would you be able to afford care if you or your spouse was suddenly no longer able to take care of themselves? Long-term care insurance may be a solution but it is also expensive, and must be budgeted for. Unfortunately, the chance of you outliving your money is very high. Today, life expectancies are into the 90s. That means that people retiring today may have to somehow have enough income or assets that they can live off of for more than 25 years after they retire! Most retirement plans consist of stocks and bonds. If over the next 30 years stocks and bonds return the historical expected return of around 7%, then all may be well. But, if they return much less than expected, your retirement plan goes out the window. Today, the big problem is that most people receive no financial education and yet are expected to plan, create, and grow a retirement account that supposed to last them 30 years of retirement. You are now responsible for making sure your retirement money will last long enough to support you the rest of your life. Without a financial education, the chances of making the right decisions or even finding a financial planner or advisor who acts in your best interest is pretty low. Here’s the typical retirement planning advice people get: Most financial advisors tell their clients that they need to amass a huge amount of money, usually between $1 million and $3 million. This is the amount of money that should last 30 years when you withdraw the standard 4% of your account each year. Throw in a stock market crash or a bond bubble early in your retirement, and the two assets traditionally held in most accounts can drop 10%, 20%, 30% or more. This will wreck any plan of having the money last for an extended period. Second, most people just won’t be able to save $1 million or more so that they have a large enough nest egg to withdraw from. For the average American’s $100,000 account, they can withdraw $4,000 a year to live on. That is not going to go very far. The whole thing sounds so farfetched and unattainable for most people that they just give up. The historical data frequently used by financial planners is based off of long-term data reaching back 70 years or more. However, what you really want to know is how much money you’ll have in 15-20 years when you retire. The actual return from any given 15-20 year time frame can dramatically differ from the long-term average. For example, if your account goes through a 10-year period where returns are flat and you are withdrawing 4% to live on, your account will take a big hit that will greatly shorten how long your money will last. No one knows or can predict market returns in the short term; the next 15-20 years may result in good, flat, or poor returns. It is the luck of the draw if you retire on a high point in the value of your account. The stock market is by nature volatile. In just the last 15 years alone, the stock market has experienced two 50% declines! During the recent financial crisis of 2007-2009, most people’s retirement accounts fell 40%-50%. For someone who had just retired, this was a disaster. By withdrawing the recommended 4% amount they needed to live on for 2007, 2008, and 2009, they would have depleted their account by much more than 12% (4% for each year). With an account of $500,000 they would have been able to withdraw $20,000 per year. But by 2009 their account value would have been down to $250,000. They would have now only been able to withdraw $10,000, which would have caused major financial problems. Most people don’t know that Social Security was never intended to be people’s main source of retirement income after age 65. It was designed back during the Great Depression as a safety net for the sick and elderly. Interestingly, the lawmakers decided the program would pay out at age 65 , knowing back then that the average life expectancy was 62! So it was designed so that not very many people would be able to take advantage of it. But today over 10,000 Baby Boomers are reaching age 65 each day, and are starting to draw Social Security benefits. That is a tremendous drain on the system. Any plan you create should look at Social Security as a bonus, the system may not be solvent by the time you retire. Inflation is a serious risk to all retirement plans. This means that your money may be worth a lot less in real dollars when you retire. Inflation erodes the value of your money, which makes each dollar able to buy less and less over time. It is like a tax on your wealth that you don’t pay directly but affects your finances. Amazingly, since the Federal Reserve was formed in 1913, the purchasing power of our money has declined over 90 percent! We all know the stories of when gum was $0.20 a pack 30 years ago and it now goes for $1.00. Or how that house you grew up in cost $25,000 and is worth $900,000 today. That is inflation at work. 30 years from now, $1 million today will likely be worth only $415,000, measured in today’s purchasing power. Inflation has run an average of 3% each year for close to 100 years. Your retirement plan must not only grow in value (and income) by the time you retire, but keep increasing at least 3% each year after that, just to counteract the effects of inflation. The actual investments in your retirement account of course determine your results. As you learned earlier, if you invest in mutual funds with their high fees, commissions, and hidden expenses, you can expect your wealth to decrease by up to 60% versus a low-cost option! Where did your money go? Into the mutual fund company’s pockets. And it most likely happened without you even knowing it. Investing in mutual funds is by far the biggest roadblock to creating wealth. But working with financial advisors, financial planners, and brokers can also greatly affect your returns. Did you know that the annual management fee for a $1 million account can be $20,000? Over 20 years you’d end up paying $400,000 to your financial planner or advisor! You’d better get stellar advice for that price! In addition, there are inherent conflicts of interest when working with financial advisor, planners, and brokers. All these management fees and fund/brokerage fees can greatly affect your financial future, you must take them into consideration. OK, now that you understand the limitations and dangers of using these traditional assumptions, let’s find out a rough estimate of how much money you need to retire. Below is a retirement calculator from Vanguard. It will let you move the sliders around to see the effect of different amounts of annual savings, expected annual returns, and more. To be on the safe side, calculate your expenses as if they will remain the same. The only exception is if you have some large expense that you are positive will be going away, such as a mortgage that will be paid off. As a starting point, input 85% as the percent of current income you expect to need in retirement, and use 5.0% as the expected average annual rate of return. 5% is doable through a number of asset choices. As you’ve learned, any estimate of your future monthly income that you need and the amount you need to save is going to be wrong. It’s at best a guesstimate. It’s impossible to forecast with any certainty your future returns, inflation effects, market cycles, and your future expenses. OK, now that you have a guesstimate of how much money you may need in retirement to make ends meet, let’s take a look at six strategies you can use to make it happen. Incredibly, according to the Employee Benefit Research Institute, 48% of working Americans have yet to calculate how much money they will need in retirement! That is almost 50% of people who have no real plan to reach their financial goals. Don’t be one of those 50%! 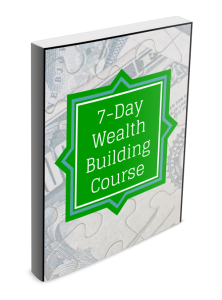 Your financial destiny is too important to ignore! My retirement plan was to retire early. My plan was to save as much money as possible and then invest it in income-producing assets when the markets created great opportunities. To make it happen as fast as possible, I moved from a high-cost city to a much lower-cost one, saving many hundreds of dollars a month. I bought a smaller house with a smaller mortgage, as this would save me on interest, taxes, utilities, and upkeep. I kept my reliable Lexus for 11 years. I saved a lot of money by not having a car payment. By 2009, stocks and bonds had crashed in the financial crisis. I bought as many dividend-paying stocks and bonds as I could afford. By 2011, real estate had bottomed out, and it was time to buy at bargain prices. I bought a lot of single-family homes that today I rent out. That’s how I did it! You can learn more about my story here. You must let dollar-cost averaging and compounding work their magic on your long-term retirement accounts. By using the power of compounding, you can start with just a little money and see it grow to an amount that can provide you with financial security or even financial freedom. If you can, start with a Roth IRA and max it out before contributing to another plan. You will get the most bang for your retirement bucks. Automatic withdrawals are by far the best way to make sure you save consistently for retirement. Set up a system to automatically send money to your retirement account each month. Most employer plans will automatically deduct your contributions from your paycheck each month. If you are self-employed or don’t have an employer-sponsored plan, make it a habit to send money to your retirement account immediately when you receive your paycheck or take a draw from the business. Shoot for 10% of your income to be sent to your retirement account. If that seems too much for you, then start with 5% or even 3%. The more you can put away, the faster you will reach your retirement goals. Traditional financial advisors and planners focus on investing in passive investments like stocks and bonds. As discussed earlier, they advise clients that the only way to a secure retirement is to amass a giant sum of money in their retirement accounts that they can slowly spend each year after they retire. To me, this is poor advice. Depleting your nest egg slowly but surely is a sure way to financial problems. People then live in fear that they will outlive their money, especially when they experience a stock or bond correction or crash that decimates their account balance. A better question is this: What do people really need in retirement? Income! Focusing on income – on cash flow from your retirement account – is not only smarter, but creates much more peace of mind. Let’s say your expenses in retirement are going to be $5,000 a month. If you are able to create $5,000 a month in passive income, then it doesn’t really matter if you’ve saved $400,000 or $4 million. Your financial needs are covered. Plus, a portfolio of assets that can consistently generate the income you need will never get depleted. You will also be protected from the ups and downs of the market. As you’ve seen, from 2006 through 2009 many stocks lost 50%-80% of their value. However, despite falling prices, many dividend-paying stocks not only kept paying dividends throughout this period, but increased them slowly but surely. Your income would not only have been protected but grown throughout this volatile period. The important thing was that investors in these dividend stocks kept their income stream going and growing. It didn’t really matter what the share price was. So, buying income-producing assets, not just any stocks and bonds, is the answer. And by using the power of compounding, you can start with just a little money and see it grow to an amount that can provide you with financial security or even financial freedom. Each year you should review your retirement plan with regards to your asset allocation. Asset allocation is simply the percentage of each asset class (like stocks, bonds, and cash) you hold in your retirement account. As you age and your situation changes, you need to revisit your holdings and rebalance them each year. Many financial planners recommend using target-date funds in retirement portfolios, as they automatically rebalance each year. But are they good investments? Let’s take a close look at target-date funds. Should You Use Target-Date Funds? Target-date funds have become very popular in the last decade. The idea is this: as you get older and move towards the target date that marks the beginning of your retirement, your allocation of stock and bonds changes each year towards being more conservative. Traditionally this means that you are invested more in bonds (less risky) as you get older and less in stocks (more risky). Here is the potential risk of using target-date funds: Bonds are at 30-year lows in terms of yield, and 30-year highs in term of price. One day interest rates will start to head higher and bond prices will then fall. It’s important to know that bond prices move in the opposite direction of interest rates. Bond prices rise when interest rates fall, and fall when interest rates rise. Rising interest rates bring declining bond prices, which can be deadly to a portfolio filled with bonds. If interest rates rise dramatically, then the losses could be considerable. It’s not a question of if interest rates rise, but a question of when. And this is likely to happen sooner rather than later. This is especially important to know and consider if you are a Baby Boomer approaching retirement age. So, because target-date funds increase your exposure to bonds more each year, they really aren’t safe, while they are marketed as such. Many people are under the impression that they can’t lose money in a target-date fund, which of course they can. As with any fund, there is no guarantee of anything other than paying the annual fees and expenses of the fund. I’ve covered a lot of information about retirement planning in this article. Be sure to put to use the six strategies that will help make the most of your retirement dollars. I hope you’ve found this information helpful so you can better understand how to set up a retirement plan that will provide for your financial future.